Shopping for Nightmare Before Christmas Pop! Vinyl Figures? Celebrate the 25th anniversary of Tim Burton's The Nightmare Before Christmas! 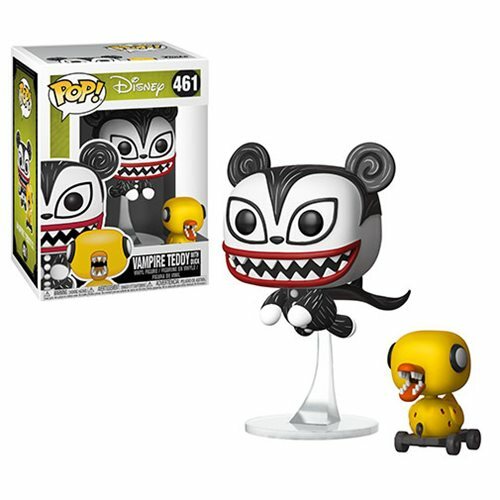 This Nightmare Before Christmas Vampire Teddy with Undead Duck Pop! Vinyl Figure #461 measures approximately 3 3/4-inches tall. Comes packaged in a window display box.